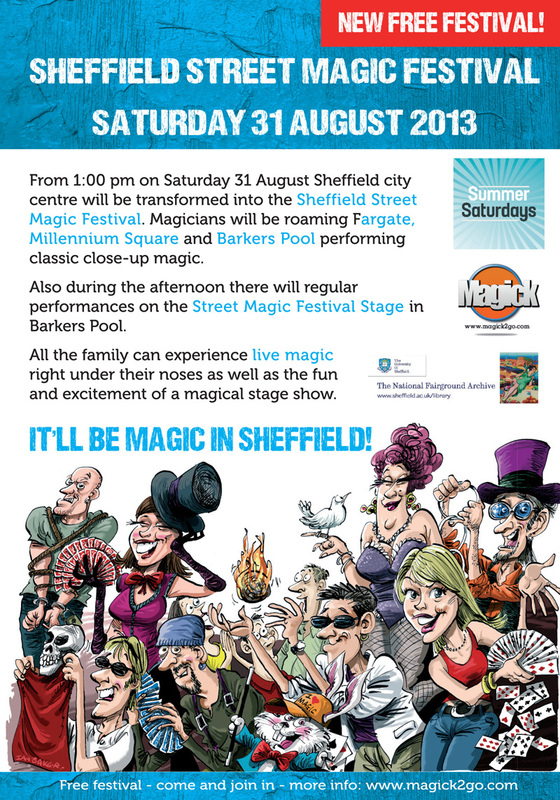 5000 Sheffield Street Magic Festival leaflets arrived this afternoon and are being distributed around the Tramlines Festival venues. Another 5000 are being delivered on Monday. We’ll have supplies here at The Magick Lounge if you’d like to help by distributing some!